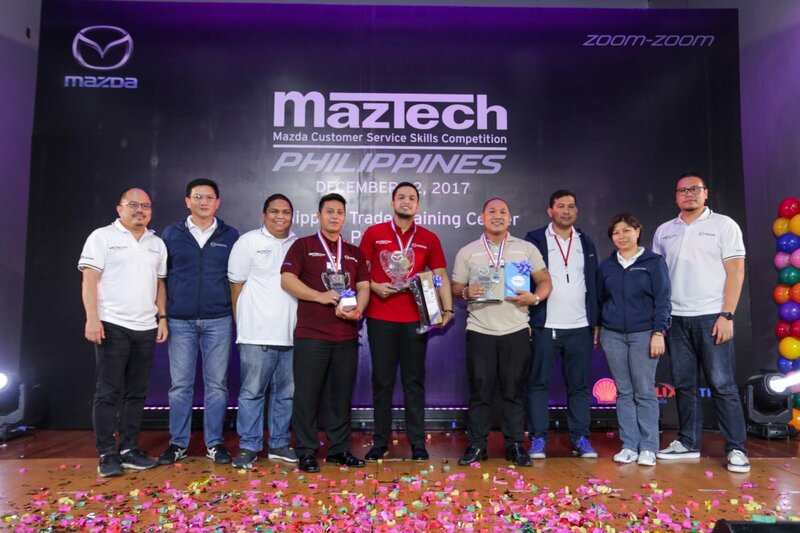 Bermaz Auto Philippines, the exclusive distributor of Mazda vehicles and parts in the country, recently conducted the 4th Maztech Philippines Customer Service Skills Competition last December. The annual skills competition is designed to promote camaraderie and showcase the talents, knowledge, and attitude of various aftersales personnel in the Mazda Philippines dealership network towards the Mazda Quality Service process. 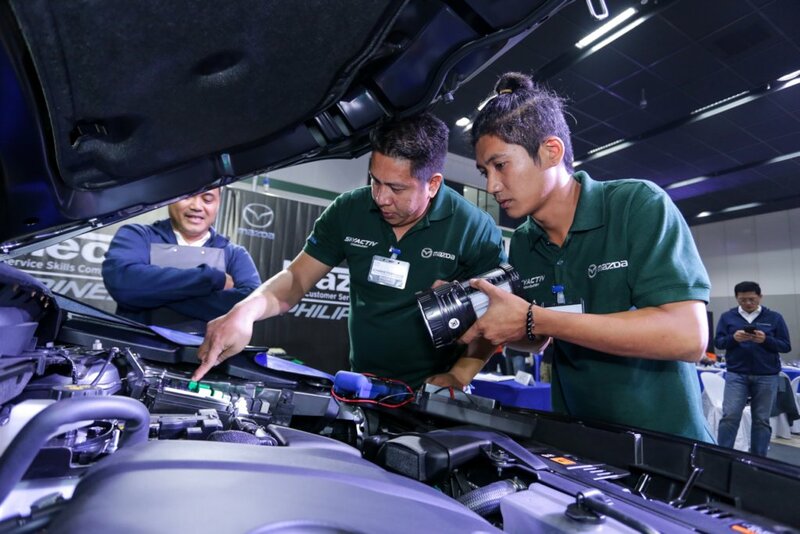 Twelve dealerships teams from Mazda Philippines’ extensive showroom network sent representatives to compete in the various aftersales process competitions. A quiz bee segment was held during the elimination phase for all participants in their respective categories. For the 24 Service Technicians who competed, a written examination was likewise conducted, after which role-playing activities through troubleshooting and finding of technical and man-made faults in test vehicles laid out at the competition venue followed. The top Service Technicians will represent the country in the upcoming 2018 regional Maztech Competition to be held in Bangkok, Thailand. Meanwhile, 12 Service Advisors and twelve Dealer Customer Relations Center representatives underwent role-playing scenarios to assess their customer handling skills. Parts Advisors and Warranty Administrators representing the participating dealerships were also on hand with their skills on the parts process, forecasting, and part numbering along with their knowledge on warranty process, scope and limitation, tested and scored under various theoretical and practical applications. This year’s competition is also the first time a search for the Sales Consultant who adhered best to the Mazda standard customer walk-around process was made. The top five, out of ten competing Sales Consultants, represented their dealerships in the final sales walk-around competition. 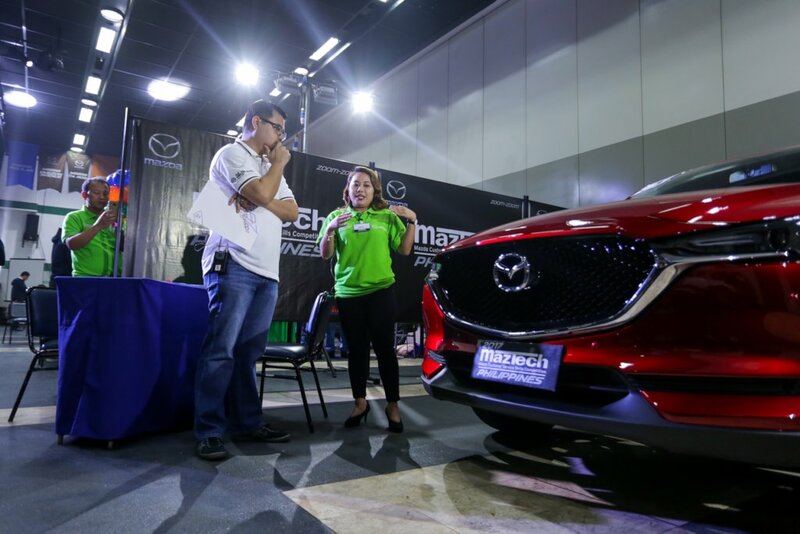 The inclusion of Sales Consultants in this year’s Maztech competition highlights Mazda Philippines’ thrust to raise the standards of its dealer-customer experience by raising the quality of the whole customer handling process across the network. Emerging as the top dealerships in the various categories for Maztech Philippines 2017 are: Mazda Pasig for the Service Technician competition; Mazda Davao/ Cagayan de Oro for the Service Advisor category; Mazda Cebu for the top Parts Advisor; Mazda Davao for the Warranty Administrator competition; and Mazda Quezon Avenue for the top DCRC officer. Best Sales Consultant honors went to Mazda Greenhills.